If you’re holding your phone right now, is it horizontal or upright? If you’re on a computer, how would you be holding it? Probably upright, right? 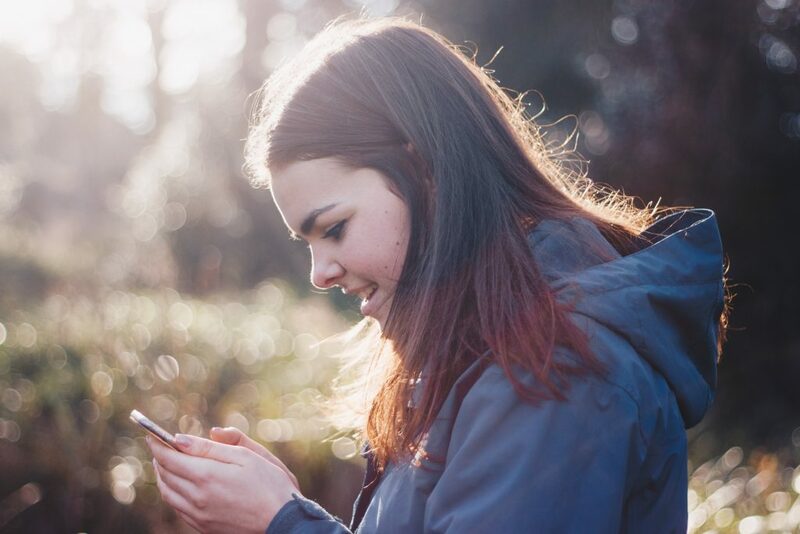 Research has shown that we hold our phone vertically 94% of the time. So, why assume that we rotate the screen to watch video? That’s a question that Instagram pondered, and, as a result, IGTV was born. 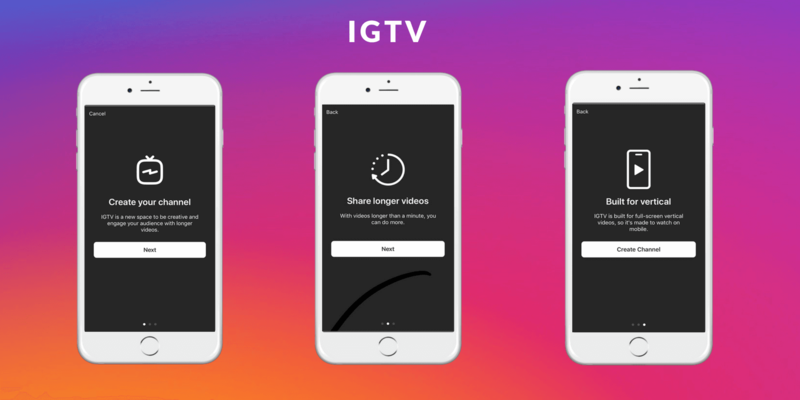 It’s been 8 months since IGTV launched as a standalone app designed for watching longer videos in vertical format, re-envisioning mobile video consumption. However, response from both creators and consumers has been muted, leaving some questioning if it’s worth embracing vertical video and putting content on there at all. To answer this – let’s explore the format’s origins, its potential and a few principles for engaging with it on IGTV. Instagram isn’t alone in turning to vertical video; Snapchat, and now YouTube are amongst social media giants beginning to further experiment with the format. Snapchat was the first platform to popularise vertical video back in 2011 – but only for fifteen second videos. Their reasoning: it creates a more seamless viewing experience for consumers by presenting video content for how you actually hold your phone. Now, IGTV is joining the vertical video party but this time it is for long-form content (10-60 minutes long to be precise), throwing down the gauntlet before YouTube, where longer-form video has traditionally sat. YouTube, clearly feeling the heat, having removed some of the clunky barriers to vertical video, optimising how it appears on the service and recently announcing that ads would now be available in the new format. If everyone is getting-in on the act, it must be because it is what consumers want, right? Well, IGTV has shown us one thing about long-form vertical video; that its hardly been an instant hit. Refinery29’s series Try Living with Lucy drew in a crowd of 16,552 when posted on IGTV, compared to the 113,000 views for a similar video (in traditional horizontal format) posted on YouTube. “YouTube offers the best sit-back consumption, and Stories offers active consumption. Where does IGTV fit in? I’m not sure”. Perhaps IGTV’s response to Neistat will be that it isn’t like the formats you know; it wants to be something new. Looking at the platform as host to an entirely new form of content, may find it a home to the two types of viewing experience he, and we, have become familiar with. Instagram can hardly be criticised for mis-stepping with its platform updates. With one billion monthly users the addition and planning behind the development and roll-out of, IGTV shouldn’t be dismissed or ignored. Today, while still nascent, IGTV might be the best place to get a head-start for communications professionals keen to experiment with vertical video. Netflix kicked-off promotion of Riverdale on IGTV with a hilarious hour-long video of Cole Sprouse eating a burger – it worked because it was different. Now is the time to be adventurous, and play with new ideas, when figuring out the potential of IGTV for your brand. IGTV is built for vertical and posting anything else is a sure-fire way to disengage your audience immediately. It looks out of place, is poorly displayed, and simply doesn’t have a home here. Think vertical first – or lose the views. An obvious but important point, as IGTV doesn’t have a natural traffic flow (yet), you’re going to have to put a fair amount of effort into driving traffic to your content. A golden rule of growing a social media presence. Posting consistently allows viewers to know when to expect something from you, so make sure it’s at regular moments – and don’t think just time of the day – think topics, events, anything that your viewers can associate with getting content from you. Most creators are curious about IGTV, but hesitant to make the leap, as the platform offers no payment options to creators; unlike YouTube. Therefore, a paid collaboration could be the perfect way for both creator and brand to dip their toes-in together.